Dressing for a date can be a real fuss if you get yourself super confused while selecting what to wear. Dates have always been very special. Not only for women but for men too! Dressing for a date is equally confusing for men as it is for women. Who doesn’t wants to impress his date? And who is the boy who doesn’t bother the whole fuss about the first impression? Everybody wants to leave a good impression and a good first impression is the last impression. The way you dress can speak a lot about you. And not to forget, your dressing is one of the first things she notices. So, be sure about how you dress for your first date! Here’s our guide to dress for your first date. You might wish if you and her come out wearing color coordinated clothes. The color of your shirt can bring out your personality. Wear colors if you love any color from red to electric blue to pastels to earthy tones. If you can’t land on a color, white is always right. But if you’re a black buddy, nobody can stop you wearing the color. The pants you wear must be well teamed with the shirt. There are a variety of bottoms in the markets- Chinos, narrow bottoms and many. You want to look mature on your first date and for that, you better select the right pant. Let the tone be darker if your shirt is of a light color. They say she notices the shoes first and then everything else. 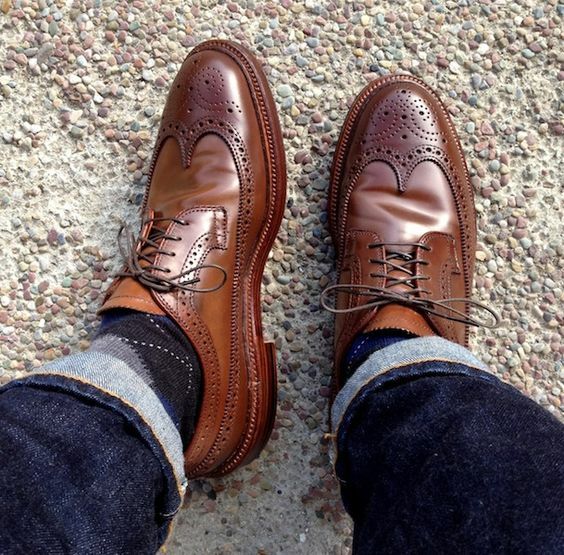 Don’t overlook your shoes. Make sure you wear something that doesn’t kill the entire look. Wear a shoe that enhances the whole look you’ve put together. Now that you’re ready, go rock! Be all ready for your FIRST DATE! The Gentleman’s Outfit for The Date Night!